In 1995, research to determine growth rate was conducted on Florida Keys bonefish. Until recently, it was assumed that all bonefish grew at the same rate. Recent research, however, has indicated that bonefish in the Bahamas and Caribbean have a slower growth rate than in the Florida Keys. For example, a 23 inch (fork length) Caribbean bonefish = 16 years old, but a 23 inch Florida Keys bonefish = 6 years old. Information on the age structure of bonefish populations is important for management – there need to be sufficient numbers of fish of all ages to support a healthy fishery. For example, a population dominated by old fish may indicate low survival of juveniles, which would require management action. Bonefish age is estimated from counting the rings in their otoliths. 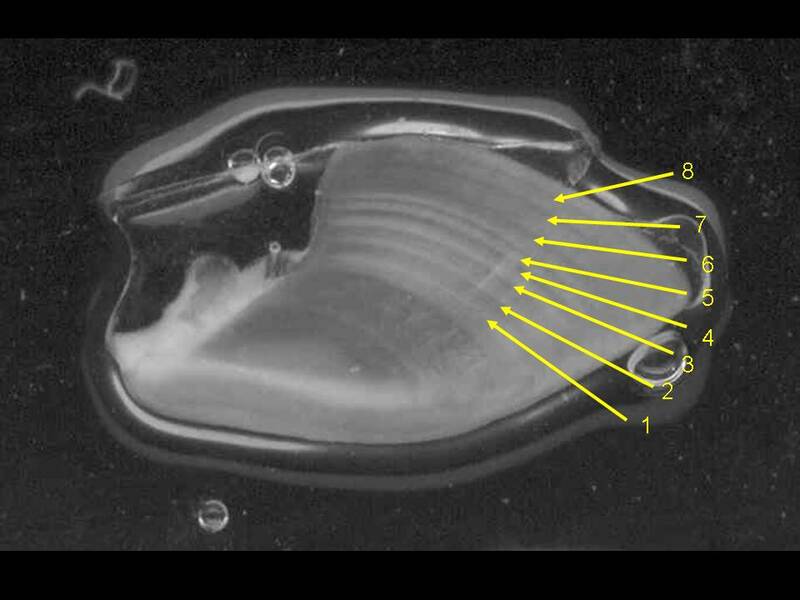 Measurement of the fork length of collected fish can be combined with age estimates from the otoliths to define a length-age relationship. After this relationship is determined, the age structure of the population can be monitored by measuring lengths (collection of bonefish is no longer needed). BTT is providing funding for a study in the Bahamas to provide a geographically-based length-age relationship that will be directly applicable to management. In other words, do bonefish on different islands have different growth rates, and if so how can management and conservation be adjusted to reflect this? The annual rings on otoliths are used to calculate the age of bonefish, such as this bonefish, which was 8 years old when it was collected.